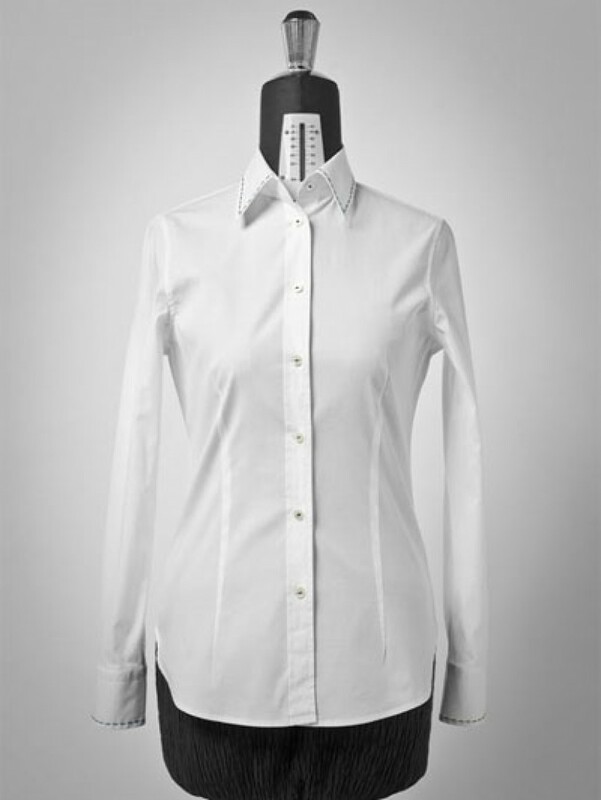 Elegant, with the personality of a touch of colour, it matches what I love the most. 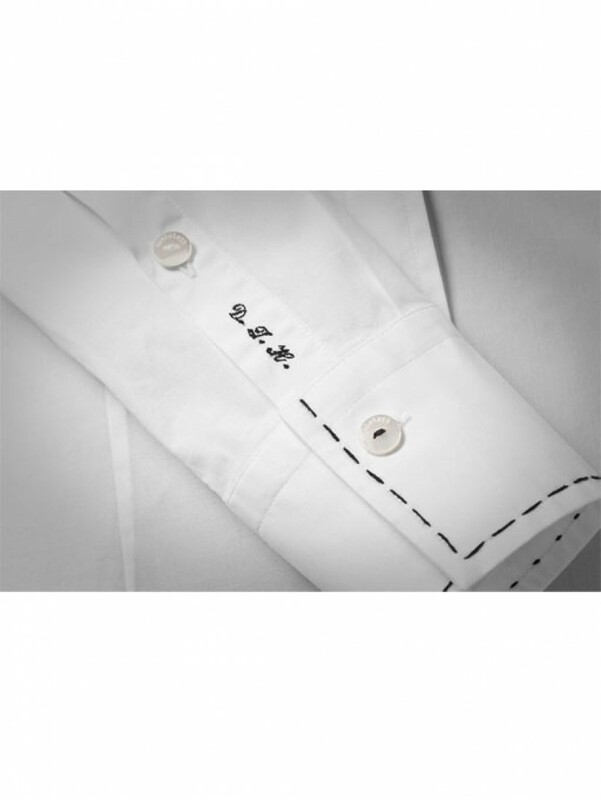 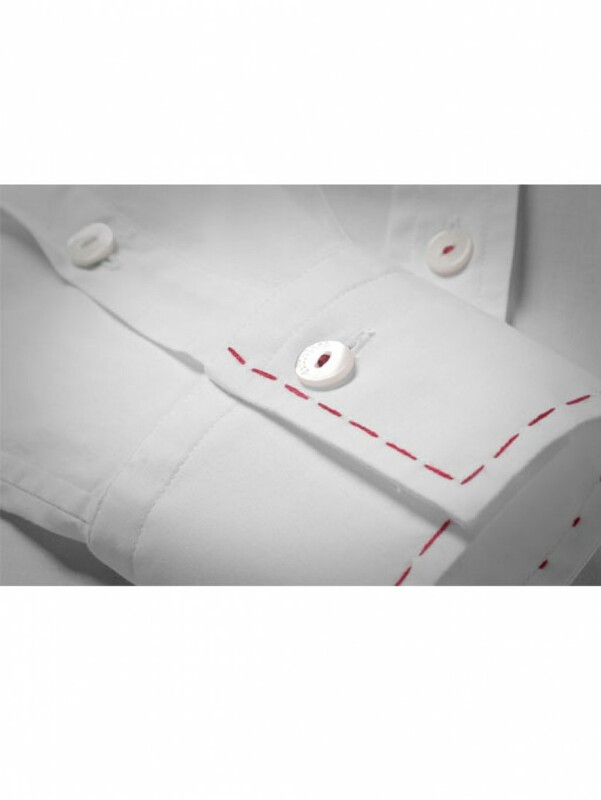 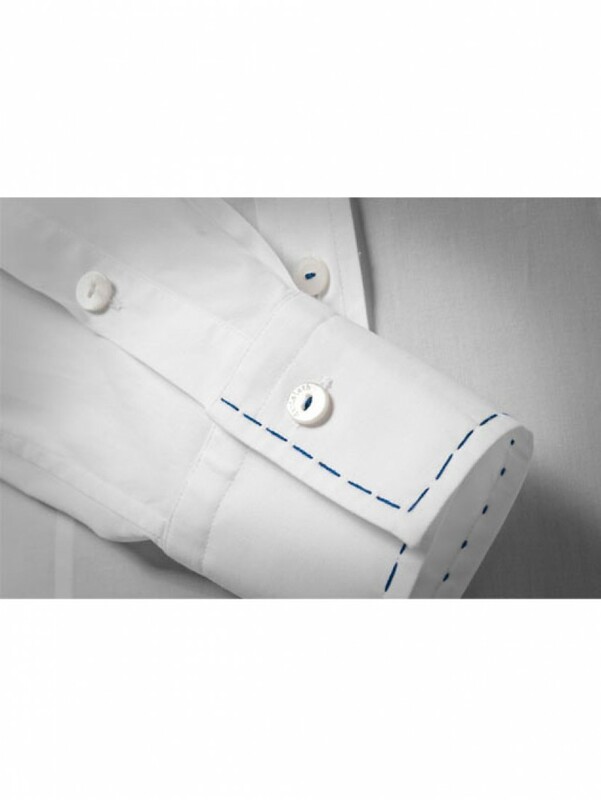 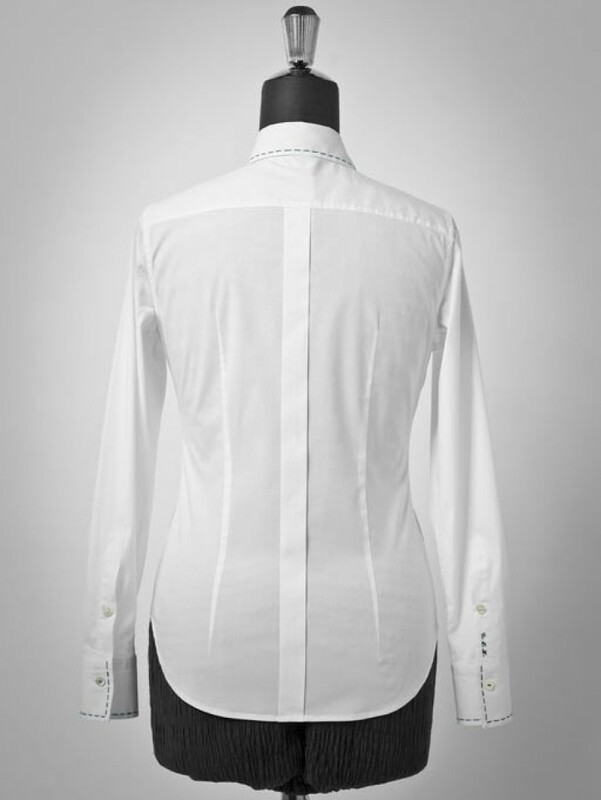 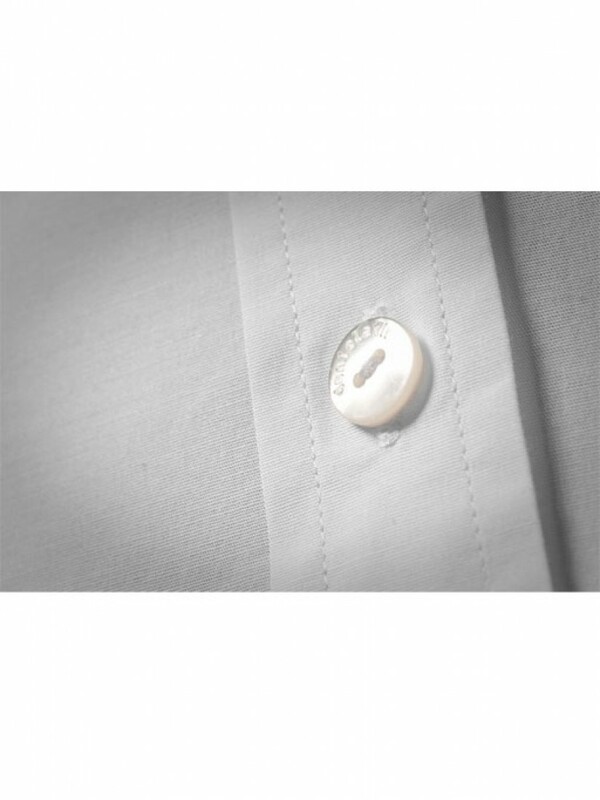 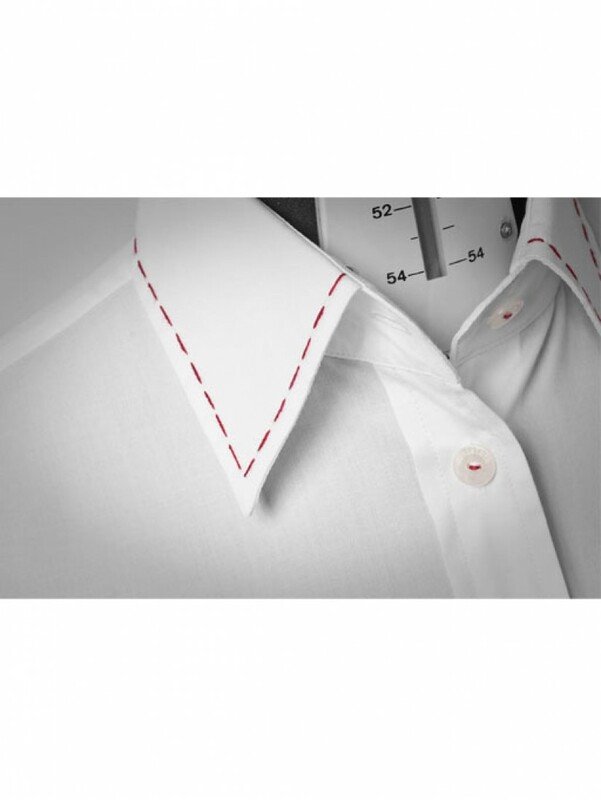 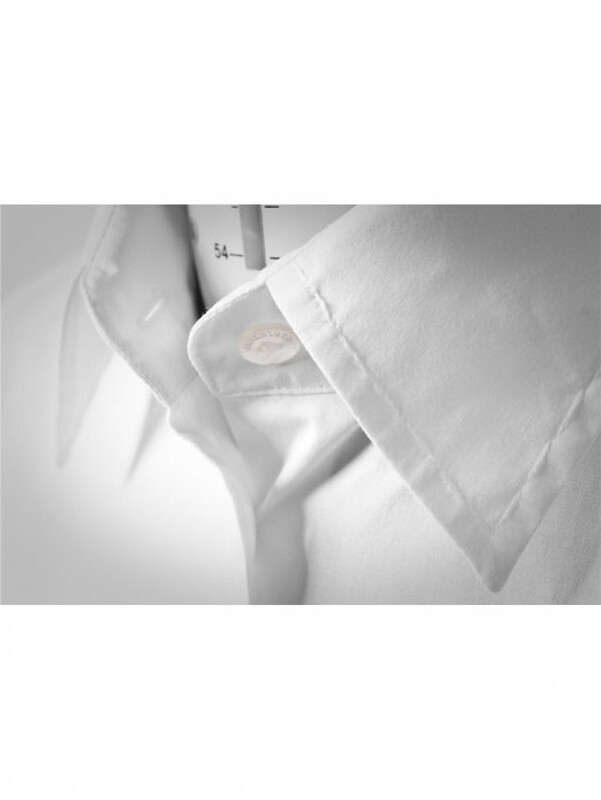 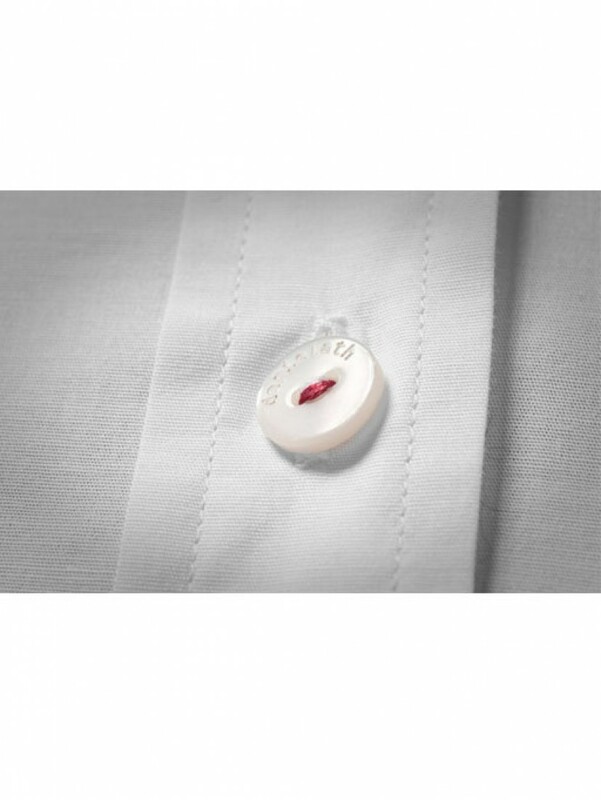 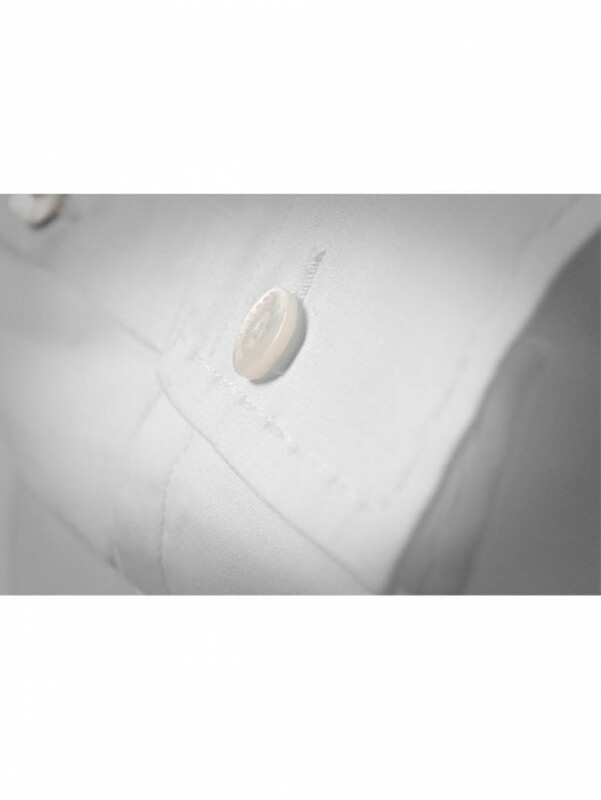 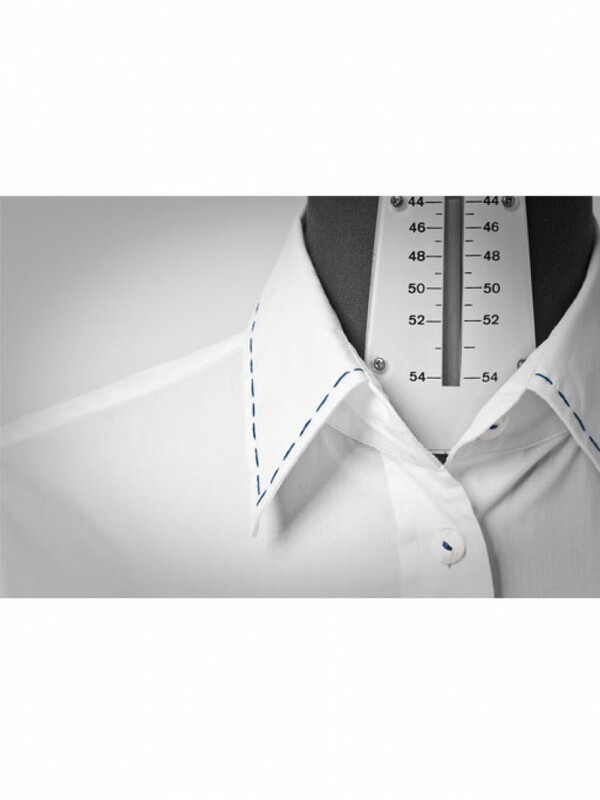 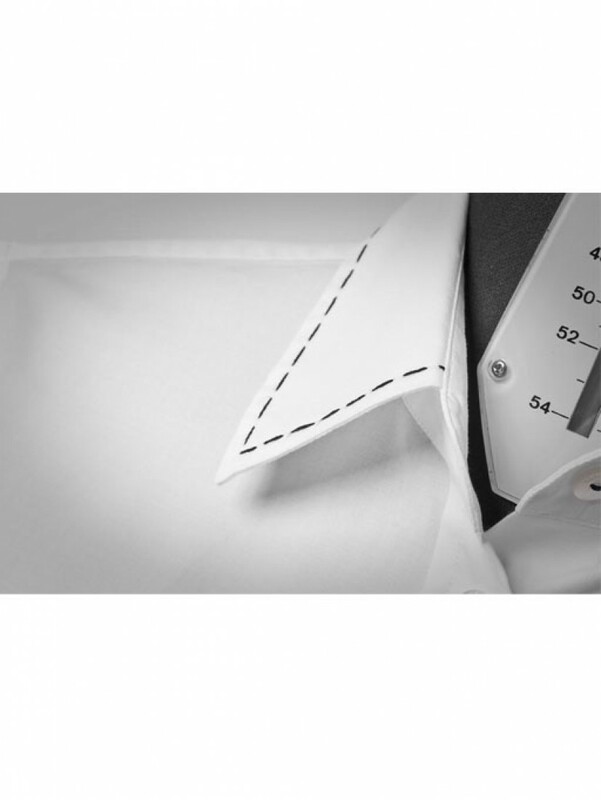 White, in stretch cotton poplin, mother-of-pearl buttons, hand-sewn stitching at the collar and cuffs in white, red, blue, black. 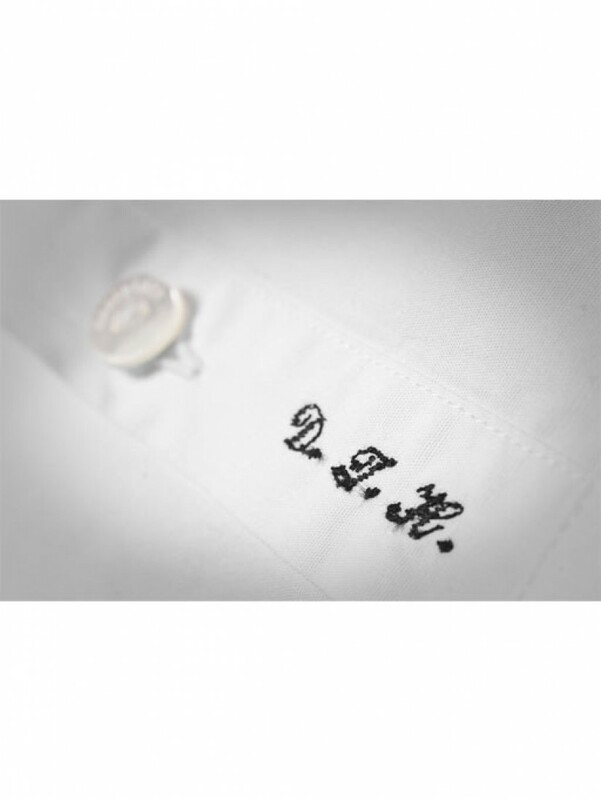 And, if I want, with my initials in the same colour.